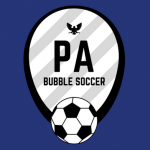 Short Business Description: Servicing all your bubble soccer needs in the Philadelphia area and South Jersey! We service eastern Pennsylvania, including the Philadelphia area, along with South Jersey! We rent out bubbles for any event you want! The bubbles will be delivered, set up, broken down and removed by our staff as well as we will fully run your event for you! If you have any questions, call Mike @ 732.567.4718!